Remember when creating content was your greatest challenge? Developing your editorial calendar, creating premium content plans and then figuring out how to allocate your resources to get it all done was the difference between success and failure. While all of that is still a challenge, an important shift has occurred. The idea of using content to generate leads has taken hold in virtually every industry. Not only are our direct competitors creating content for our audience, so is everyone else. Today the greatest challenge for B2B marketers is creating content that stands out from the rest. A few weeks ago, Trish Bertuzzi was interviewed for our podcast, The Demand Generation Show. Something she said has stayed with me since I heard it. She said “Content is the new spam.” People in general are becoming overwhelmed by the volume of content that is available and they’re beginning to treat it like spam – ignore and delete. As the marketing manager at Imagine, creating content that stands out from the crowded landscape is always on the top of my mind. We analyze several metrics including traffic, leads generated and the effectiveness of our lead nurturing programs. If we’re not doing well in those areas, chances are, our content is NOT standing out. Even when your content is producing results today, irrelevancy is as little as one blog post away. It requires focus and discipline to keep a content marketing program working. If this is an important issue for you, here are four places to start. If you’re reading this post, I am assuming that you have well-defined, documented buyer personas and are creating content on a consistent basis. If you’re not, here’s a post to help you get started. At Imagine, we are increasingly diving deeper and deeper into our personas. Whereas in the past we wanted to be sure that what we wrote aligned with a particular persona, it’s no longer enough to drive the results we’re looking for. Think about it for a moment. How many blog posts or other content pieces do you find interesting and even relevant, and you wish you could read them. You may even file them to read later…but you never do. I don’t know about you, but my Evernote folder is filled with content I intended to read but haven’t. Today you have to be relevant and timely; meaning that for your content to work, it must connect to the important issues that impact your personas now…today…this second. Here’s an example of something we’re doing to make this happen. Years ago we defined our personas. Last year we did a deep dive and laid out a detailed prototypical journey for our personas. Now we’re identifying the specific questions that each persona is seeking answers to at each stage of the buyer’s journey. Get started by selecting one of your buyer personas and one part of the buyer’s journey. Brainstorm with your team on the questions they are asking during that phase and create content that answers them. My favorite breakout session at Inbound 2015 was presented by Ann Handley from MarketingProfs. Her session was called Good vs. Good Enough Content. One of the things she pointed out was that the biggest opportunity lost with content is playing it too safe. She encouraged everyone in attendance who creates content to tell a bigger story, produce braver marketing and be bolder with their writing and tone of voice. Part of our strategy at Imagine is to be bold. Recently, Doug wrote a post called 6 of the Stupidest Things a Salesperson Can Say at the Start of a Sale. Now, we I had some reservations about it because that title makes it seem very negative. But on the other hand, it was bold and true. We published it and it has been our best performing post published this year. Take the topic/question you identified in your deep dive and share a strong opinion about it. Challenge your customer’s thinking, even risk being considered foolish. The likelihood is that you provide a unique experience or solution to your customers. Your content should demonstrate it. Don’t write like you’re going to turn in a book report. If the answer isn’t clear, rewrite it. To be completely open, this post has been rewritten four times because we didn’t give a resolute yes (and given that this post is about separating from everything else, it was especially important that it does). It’s no longer enough to share a good idea or philosophy. It’s okay if you’re creating a high volume of content to do that occasionally, but your prospects simply don’t have the time for good ideas any more. Frankly good ideas are a commodity today. What’s valuable is teaching people how to take advantage of the ideas. Increasingly, research (and our data across our client base) shows that content that teaches your prospects how to do things that are important to them generates more engagement. Be sure that at least 2/3rds of your content is teaching your readers, not just selling or pontificating. In our quest to create content that stands out, we have been and continue to analyze our content’s performance. Each month, we review our top 30 performing pages by visits, by clicks and click through rate. From there, we look at which pages made all three lists and what posts appear to be compounding. This has helped us identify topics and types of content that stand out with our audience. Take the time to go through this type of analysis and adjust your editorial calendar accordingly. Finding out what is getting your audience’s attention will help you to win that battle on a regular basis. We also continually test out different content lengths and frequencies. Last year we made the decision to increase our blog posting frequency from 3x per week to 4x. We saw that that had a negative impact on our important metrics and decided that while a company like HubSpot may be able to post 23 blogs per week, our audience wasn’t ready for that. We’ve also seen that our longer posts perform better than our shorter posts. This worked out well for us, as we are now able to take the time and effort that was going to be put into increasing the quantity of our content to increasing the quality. Of course, what’s true for us may not be true for you. In case your asking, let me tell you, this isn’t easy. It takes time and input from your entire growth team but it adds huge value from a content perspective. Is there too much content out there? Has it become the new spam? Many would argue that it has but that doesn’t mean yours can’t still be effective. Take a step back and evaluate your approach. 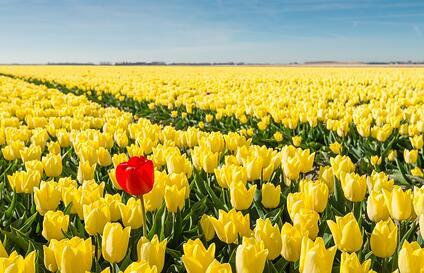 Creating content that stands out is hard work but will yield significant results.